How high are realtors´ and lawyers´ fees in Costa Rica? What about other property purchase costs? How difficult is the property purchase process in Costa Rica? 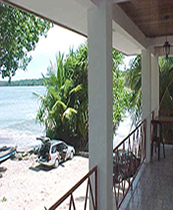 Costa Ricans and foreigners enjoy the same rights in terms of ownership of property in Costa Rica. Consequently, a restriction is imposed on both locals and foreigners. The Maritime Zone, 200 metres along the shoreline, is state-owned. The Public Zone, 50 m. from the shore, is protected from any development. Private persons can acquire property in the Restricted Zone by applying to the Municipality, but in the Restricted Zone, leases cannot be granted to foreigners with less than 5 years of residency in Costa Rica. A company whose shares are less than 50% held by foreigners can be granted a concession. The general custom is for the buyer and seller to share equally all closing costs. The above costs only apply to titled property, not to untitled or beachfront property. The legal fees are based on the property´s sales price and not on the property´s declared value. It is usual in Costa Rica to register a property at a figure far less than its actual sale price. The property is transferred from seller to buyer by executing a transfer deed (escritura) before a Notary Public, who drafts the transfer deed and register the sale in the Public Registry (Registro Nacional). The Registro Nacional can be accessed online. Costa Rican law requires that all documents relating to real property be registered in the property section of the Public Registry (Article 460 of the Civil Code). Most properties have a title registration number known as the folio real, and the records database can be searched with this number or by name index. Information available includes the name of the title holder, boundary lines, tax appraisal, liens, mortgages, recorded easements, and other recorded instruments that would affect title. Since Costa Rica follows the doctrine of first in time, first in right, recorded instruments presented to the Public Registry are given priority according to the date and time on which they were recorded. Obviously, every situation differs and in some cases a review of the Public Registry record will not be enough to uncover all encumbrances. That is why it is important that the buyer have her or his own attorney conduct an independent title search and investigation rather than rely on the seller´s attorney. The local custom is that the buyer may select his or her notary/attorney to draft the transfer deed if paying cash for the property. If the purchase price is financed, there are generally three alternatives for selecting the notary/attorney. If a large percentage of the purchase price is being financed by the seller and a mortgage needs to be drafted to guarantee payment, then the seller may request that his notary will draft the transfer deed. If a property is purchased 50 percent cash and 50 percent financed, it is common for the buyer´s attorney and seller´s attorney to jointly draft the transfer deed and mortgage in a single document. This is known as co-notariado. Finally, the buyer may insist that his notary draft the transfer deed and let the seller´s notary/attorney draft a separate mortgage instrument. In this case, because the mortgage is being drafted separately, it carries a higher registration fee. The registration fees are discussed below in the section on closing costs. Drafting of the mortgage requires additional notary fees of around 0.5% - 1.25% of the amount of the mortgage. The certification from the Registro Nacional must be acquired by the seller to present information about the titled property. After making sure that the property is cleared of taxes and charges, a Notary verifies the information on the property. When all taxes and fees are paid, the Notary files a "testimonio" (public deed) to Registro Nacional for reviewing. With no further corrections and problems, the "testimonio" is recorded and the buyer becomes the official owner of the property. It is advisable to have all tenants evicted before purchasing a property. If not, one may find oneself in court for a long time, without being able to use the purchased property other than leasing it to the tenant already there. If you are an absentee owner, it is best to have someone oversee your property to prevent problems with squatters. Basically, the law allows peaceful occupation of "untitled and unattended land" unless there is opposition by the existing owner. If your land is unattended and someone moves onto the land, they begin to establish certain rights after three months. Action for removal is required before the end of the third month but the process is less complicated than if they occupy the land for a longer period. If squatters have occupied the land for more than three months but less than a year, the process of eviction called desalojar or desalojo, becomes more involved, but you are not yet required to reimburse the occupants for their "improvements" to the property. If the land is occupied for more than a year but less than ten years, you may still be able to recover the property, but the legal process may take years and you will be required to make a settlement for the "improvements" made by the occupants. "Improvements" can range from the construction of shacks, planting of crops and even cutting of trees to clear the property. Improvements and compensation are established by the court. In most cases, it is best to negotiate an out of court settlement. If someone is living on a property you are interested in buying, be it the owner, a relative, a worker etc., you must be sure this is addressed and settled as a condition of the transaction. Precario rights can affect both titled and untitled land but the process of eviction for titled property is in theory, faster and less complicated. The Agrarian Development Institute (IDA), established in 1961, acts as a sort of a public defense body for peasant landowners unable to defend themselves against larger landowners trying to "expand" their territory. However, there are many cases today where the system is abused and people fall victim to "de-facto tenants". That is why it is important to know the history of possession and above all, follow the rules. If ownership is legitimate, it must be demonstrated within the guidelines outlined in the law. It is important to remember that the precario law and the recognition of possession rights is considered the first step in the titling process and is the basis of how many lands were originally settled and eventually titled in Costa Rica in a legal manner. The whole process of registering a property can take around 18 days to complete. Real estate tax is levied at 1.5% on the property value. These costs are split equally between the buyer and the seller. National Property Register Stamp is levied at 0.50% of the property value. These costs are split equally between the buyer and the seller. Documentary stamp tax includes 0.50% National Stamp, 0.20% Municipal Stamp, 0.15% Agrarian Stamp, and other related fees. These costs are split equally between the buyer and the seller. How landlord-friendly is the law in Costa Rica?